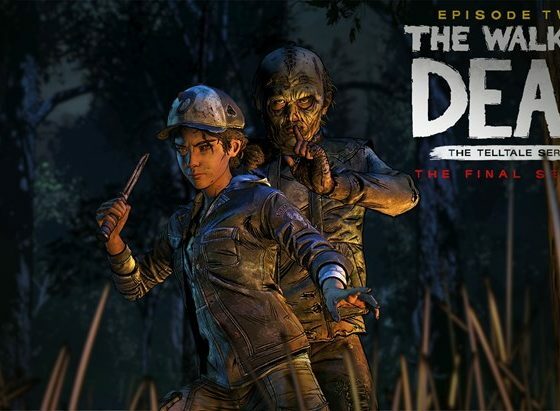 Suffer The Children is the title of the second episode of the highly anticipated fourth season of the video game The Walking Dead: The Final Season, which was released just a little over a month after the first episode, this past September 25th. As we described in our review for the first episode, Done Running received critical acclaim and acceptance, generally described as a beginning that laid out a promising finale. 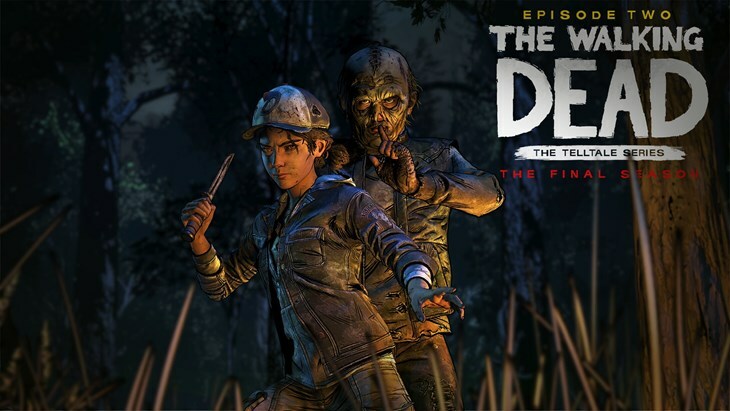 However, the second installment hasn’t had such as smooth path to go through: Shortly before its release, on September 21st, Telltale Games regretfully announced a most sudden closure cancelling all ongoing and future projects. Needless to say, this news was received with various degrees of disbelief, reproach, sadness, and anger, even more so after players witnessed first-hand the lack of closure this episode had ended on. Fortunately, shortly after, Skybound Entertainment, Robert Kirkman’s own production company took the reins of the video game and has announced they will oversee the last two episodes, providing the series with a much needed and worthy finale after 6 years of zombie adventures. 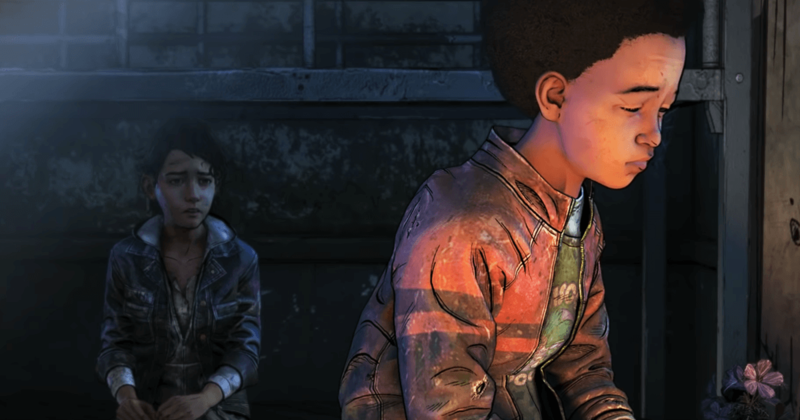 When we left off Done Running it was with a major cliffhanger: Clementine finds out that Marlon, Ericson’s designated leader, traded fellow children to a raider group in exchange for safety; and as if that weren’t enough, he is plotting to trade Clem and A.J. as well. Marlon then proceeds to lock Clementine in a cellar with a walker inside, after which she manages to break free and confront Marlon. A heavy discussion ensues between Clem, Marlon, and the rest of Erickson’s members regarding Marlon’s fate, but shortly after, A.J. decides to take matters into his own hands and shoots Marlon in the head. Episode 2 starts not long after the events described above. This is a scenario that every player has been dreading and expecting, A.J.’s first major solo decision. It’s after this particular moment that Clementine reflects on everything that she’s so far taught A.J. about survival, and that he’s learned things too well for his own good and sanity. Things are put into perspective regarding these kids’ lives: Kids like Clem, who got to see what the world was like pre-zombies, and how they try to maintain even a flicker of the past within themselves to keep sane amidst all the horror, their whole lucidity revolving around that single ray of light, and not falling into the abyss. On the other hand, there’s A.J., who was born into the madness, and knows nothing more. 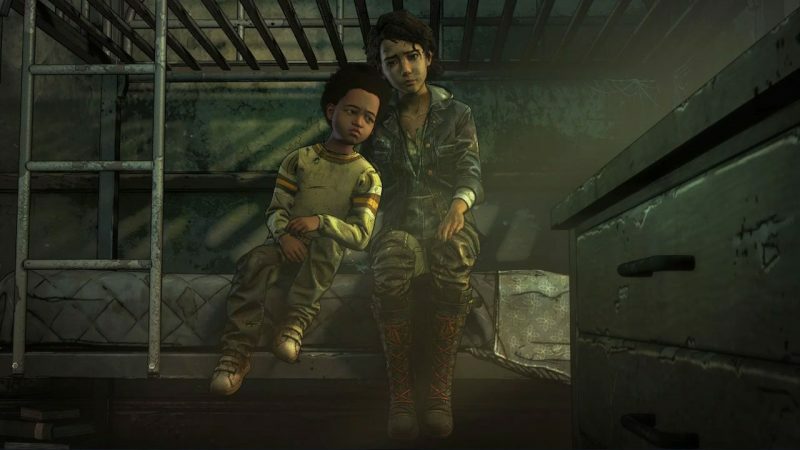 This represents a great source of grief and guilt for Clem, who feels solely responsible for A.J.’s physical and mental health. What to do and how to act after he has committed his first murder? How to best approach a child murderer? 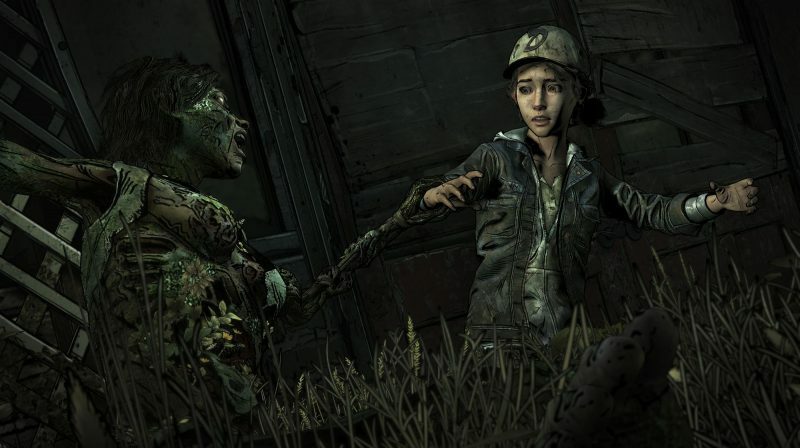 Clementine now finds herself trapped between a rock and a hard place: Should she berate A.J. for what he did, making him acknowledge that he is now a murderer, risking a possible rupture in their relationship? Or should she forgive and forget, because family is above all? Alongside all the angst, episode 2 also furthers the plot, adding a much needed dose of adrenaline-ridden sequences, and action scenes galore. Recurrent player of the series will appreciate the reappearance of previous characters, although they do so in less than favorable conditions. 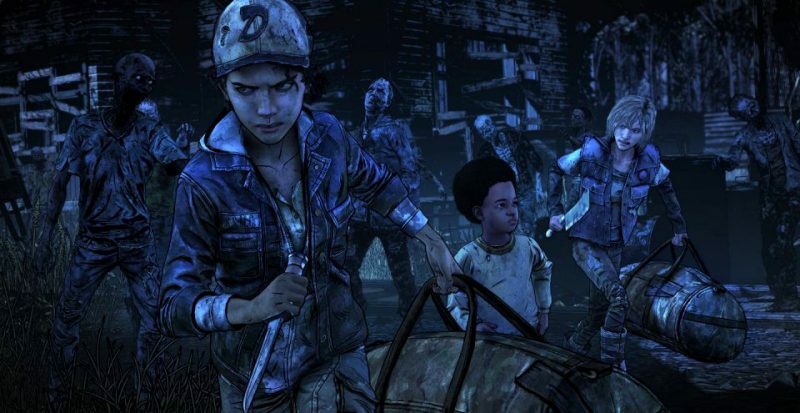 After their leader’s untimely death, and with emotions going haywire, Erickson’s residents decide to kick Clem and A.J. out of the refuge, with nothing else for them to do but hit the road, once again. They are later confronted by a group of survivalists whose job is to abduct kids and teens in order to fight a war against another community. Clem resolutely refuses their (forced) petition, which resulted in a wild hunt for our two heroes, almost taking a deathly turn, with one of them badly wounded. Thankfully they’re rescued by a masked Samaritan, who tends to their wounds and leads them back to Erickson. Both Clem and A.J. are accepted back, albeit somewhat reluctantly, to the refuge. However, they warn the other kids of the eminent and bloody encounter between both groups, and together they prepare for the oncoming attack. As it now stands, half of The Final Season is now available, with the second episode definitely more action-driven than the previous one. Lots of new and difficult decisions remain to be made, sacrifices, betrayal, and bloody fights. Suffer The Children explores a new and uncharted territory in Clem’s and A.J’s relationship that could potentially make them or break them. A new and undesired conflict arises from which nothing good can be gained. There’s nothing left for us to do but wait, and hope Skybound Entertainment successfully finishes The Walking Dead series just as it deservers: In a bittersweet and spectacular ending. 2017 Getmeapp. All rights reserved.